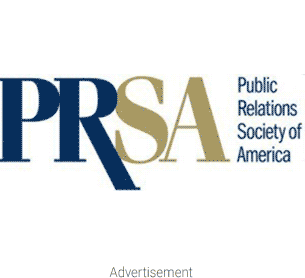 In a big move that promises to shake up the PR world, two of the world’s most prominent public relations agency networks have announced a merger, with the formation of the new PR World Alliance (PRWA). Comprising a total of 17 members in 13 different countries, PR World Alliance was formed following an agreement between the International Public Relations Agency Network (IPAN), founded in 1991, and ECP Global Communications, founded in 1988. The merger, which was announced at a joint conference earlier this month in Stockholm, Sweden, represents the successful conclusion of year-long discussions that first began back in May 2011. The agreement to merge the two agency networks was agreed in principle last year, following a general assembly between the two groups in Washington DC where the new name was first adopted. In the months leading up to a final decision on the merger, the two networks ironed out operational details, while the individual members of each network formally accepted the recommendation to unify the two bodies. The new entity comprises some of the leading lights in the public relations world, including top agencies from Europe and North America, together with joint venture partners and associates in Africa, Asia and South America. The result is a truly global network that can deliver numerous benefits to its members. PR World Alliance operates a stringent selection process for its members, accepting only the most accomplished firms into its network. Each of its members enjoys a solid reputation for delivering superior results to its clients time after time, ensuring that PR World Alliance can genuinely claim to be one of the world’s most prestigious PR networks around.